He wasn’t a prophet, but his strategies for Israel’s survival had a profound influence on leaders who came after him, left and right. David Ben-Gurion with his bodyguard by the Sea of Galilee in 1969. 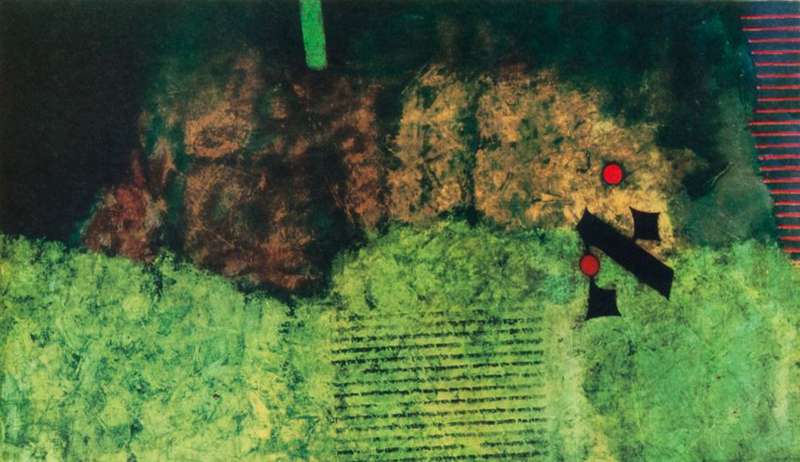 The National Library of Israel, Dan Hadani’s Archive [IPPA Staff]. Since publication of my essay, “The May 1948 Vote that Made the State of Israel,” the date (by the Hebrew calendar) of Israel’s 70th anniversary has come and gone. Among the many commemorative events, Israel’s cabinet held a festive session in Independence Hall on Rothschild Boulevard in Tel Aviv, the place where David Ben-Gurion declared the state on May 14, 1948. On display at the center of the cabinet table, courtesy of the state archives, was the Declaration of Independence itself. The building will be open through the summer for extended hours and is then slated to close for renovation, after which it will perhaps become the national museum of Israel’s birth—something the country has never had. As I showed in my essay, however, it was not at this building but at the building of the Jewish National Fund, tucked away on a residential Tel Aviv street, that the state was actually born. There, in the days immediately preceding May 14, the People’s Administration—the pre-state cabinet—made the preparations for independence. A marathon session lasting a whole day led up to the brief 32-minute ceremony in which the state was declared. The May 14 ceremony took place before the public and the cameras. But the prior deliberations, behind closed doors, are much more difficult to reconstruct. In my essay, peering behind those doors, I tried to dispel a common myth about the deliberations and also to shift attention to a forgotten truth. I thank Benny Morris, Efraim Karsh, and Avi Shilon—the three respondents in Mosaic to my essay—for helping to complete the picture in informed and interesting ways. On the events immediately preceding Israel’s declaration of statehood, and especially on my account of the proceedings of the People’s Administration on May 12, 1948, there is no disagreement between me and my respondents. Efraim Karsh gives me credit for “meticulously overturning the conventional wisdom” that what hung in the balance in that session was the decision to declare independence at all, a decision finally secured by David Ben-Gurion in the narrowest of votes. As I showed, there is no strong evidence for such a vote having taken place. But I also named other Israeli historians who did the actual overturning before me, in some cases decades ago. Remarkably, until publication of my Mosaic essay, neither the correction nor even the existence of a debate over the facts had found its way into English. What my essay did do was to focus on another, real vote in that same session, in this case over whether to include language in the declaration specifying the borders of the new state—and in particular whether to commit the state to the borders laid out in the November 1947 partition plan promulgated by the United Nations and accepted by the Zionists. The cabinet’s decision was to do neither. My discussion of this subject prompted two of my respondents, Benny Morris and Avi Shilon, to delve into Ben-Gurion’s view of borders, both in 1948 (Morris) and in 1967 and more generally (Shilon). More can and should be said about all of this, and now is the perfect opportunity to say it. To begin with, and quite apart from Ben-Gurion’s own views, it’s important to clarify a term employed by Benny Morris to describe Zionist ideology and practice as a whole. Morris calls Zionism “expansionist,” a word associated in many minds with aggression and appropriation—and therefore, it seems to me, in serious need of qualification. Zionist settlement of the land prior to 1948 “expanded” in territory only where it was licensed to do so by the ruling powers in Palestine: the Ottoman empire until World War I and Britain (on behalf of the League of Nations) after the postwar peace settlement. In both periods, the “expansion” occurred through land purchases. (The terms of the League of Nations mandate to Britain slightly widened that scope, expressly charging the British to “encourage . . . close settlement by Jews on the land, including state lands and waste lands not required for public purposes.”) In no period before 1948 did Zionists expand Jewish holdings by aggression or appropriation. Moreover, as Morris himself emphasizes, in 1936 and 1947 the mainstream Zionist movement accepted the narrow territorial limits to a Jewish state that would be defined by partition plans. Yes, the Zionist movement always sought to maximize the territorial extent of the Jewish home or state. Until the Holocaust, Zionists leaders anticipated the proximate arrival of many millions of Jews. But until 1948, the movement pursued that aim only by the power of the purse and the politics of persuasion. Only in 1948, when Arab militias and armies invaded the Jewish state, did Israel expand by force, during a counterattack in a war thrust upon it by enemies intent on its destruction. It “expanded” because the borders assigned to it in the 1947 partition plan made sense only in the theoretical climate of peaceful cooperation between the Jewish and Arab states originally envisioned by that plan. Those borders couldn’t be defended in an actual climate of war, when Jews living outside them were coming under attack. These words were written about the armistice lines drawn at the cessation of hostilities in Israel’s 1948-49 War of Independence; they were even truer about the 1947 partition-plan borders. Since the Arab states, both in 1949 and after the Six-Day War in June 1967, refused to accept their defeat and sue for peace, the territories gained by Israel in those conflicts remained valuable for the state’s defense. I’m simplifying a complex story, but the bottom line is this: Israel is larger today because Arabs tried to strangle it when it was smaller and more vulnerable. Is that expansionism? Perhaps—but by necessity. And what of Ben-Gurion? 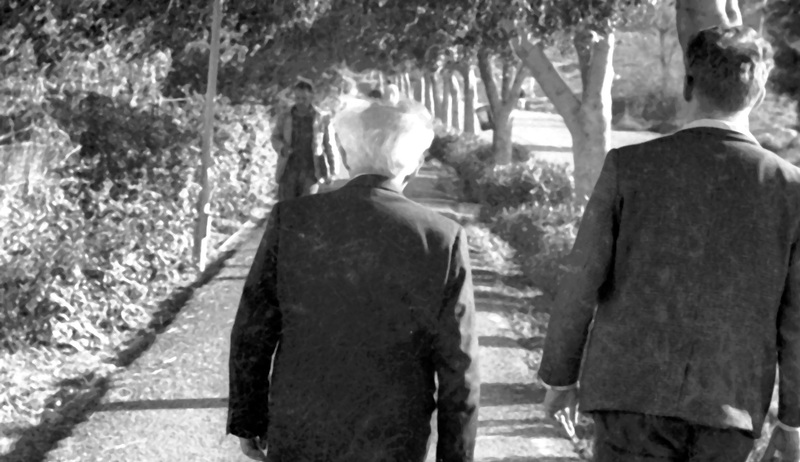 The crude version, formulated by the Oxford polemicist Avi Shlaim, is that he was a “land-grabber.” By contrast, Avi Shilon in his response has provided a learned and nuanced account of Ben-Gurion’s approach to borders in general. The main takeaway: he didn’t see them through the prism of ideology. In antiquity, Ben-Gurion determined, the areas under Hebrew sovereignty had varied according to historical circumstances, so there were no fixed “historic” borders that the modern state of Israel needed to “restore.” Nor was the state compelled to incorporate all of the “Land of Israel,” if doing so contradicted state interests. The Arabs could have stopped this cycle at any time. Instead, they gambled territory in the hope of crushing Israel, and kept doubling their bets. Ben-Gurion didn’t grab land. The better gambler, he won it. Let’s look a little closer by returning specifically to Ben-Gurion in 1948 and 1949. As I wrote in my essay, even though a commitment to the partition-plan borders appeared in the draft declaration of statehood presented to the People’s Administration, Ben-Gurion had the foresight to argue that it be struck from the final draft—a move confirmed by the vote of Israel’s proto-cabinet. This set the stage for the subsequent Israeli annexation of swaths of territory allotted by the UN plan to the envisioned Arab state and the corpus separatum of Jerusalem, increasing the area of the Jewish state by more than a third. Those who today invoke Ben-Gurion as some sort of progenitor of Israel’s “peace camp”—a subject I’ll return to—often claim to his credit that in 1948-9 he had the wisdom not to press Israel’s advantage and go on to occupy the West Bank and Gaza. According to this narrative, Ben-Gurion understood that the addition of those territories, teeming with Arab inhabitants and refugees, would have undermined the Jewish majority of the new state. If only, such adherents of today’s peace camp cry, we could have exhibited the same wisdom in 1967! But Ben-Gurion’s actual record is much more complex. 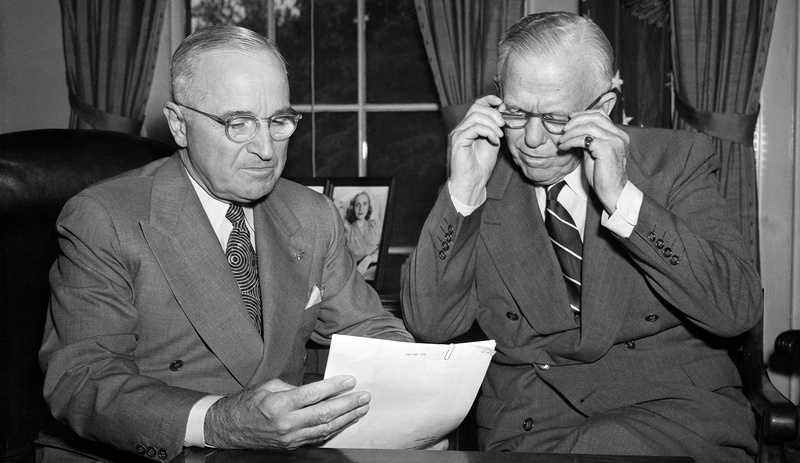 Morris reminds us that on September 26, 1948, Ben-Gurion, by then the prime minister, proposed to his own cabinet that Israel launch an offensive directed toward the West Bank. By this time, Israel had the upper hand in the war, and was fully mobilized (with a force of nearly 90,000). But there had been a respite in the fighting, and, in Ben-Gurion’s assessment, Israeli forces could finally take the Arab-held fortress of Latrun astride the main road to Jerusalem, a bastion that had withstood six Israeli assaults. possible to move the eastern central border much deeper, if not past the mountain crest [of the West Bank], then at least up to it, so the coastal strip won’t be too narrow. We can move the Jezreel Valley very much farther south, if not to Nablus; we can widen the corridor to Jerusalem at least to Ramallah so that the line from Bir Naballah to Ramallah will be in our hands. The following day, he also told the Provisional State Council (the precursor to the Knesset) that in the event of renewed fighting, it would be possible to “liberate” all of Jerusalem, including the Old City. As Morris writes in his book 1948: The First Arab-Israeli War, “it is not completely clear whether Ben-Gurion wanted the IDF to conquer the whole of the West Bank or only a large part of it, with or without eastern Jerusalem.” Ben-Gurion would later assert, just before the Six-Day War, that “had the government heeded me [in 1948], not only would [eastern] Jerusalem be included in the state today, but also all the area of Ramallah, Hebron, and more.” In 1969, he defined the “more” as the area from “Ramallah down to Jericho and the Dead Sea.” One way or another, if Ben-Gurion had had his way, much of the West Bank would have been absorbed into Israel; perhaps Samaria would have been left as an Arab enclave. But several ministers put up stiff resistance to Ben-Gurion’s proposal. They fretted that another attack on Latrun would fail; that the operation would turn into an unpredictable war on all fronts; that the effort would come at the expense of a needed offensive in the Negev; and that Israel would be punished internationally for pressing still farther beyond the partition borders. When Ben-Gurion put his Latrun offensive to a vote, he lost, seven to five. Even the other members of his own party, most prominently Moshe Shertok (Sharett), voted against him. Israeli historians have been perplexed by this episode. When Ben-Gurion truly wanted something, he usually came up with a practical plan and cornered the main actors in advance. But before this vote he didn’t do the preliminary work or present a detailed plan for the offensive. This has led to speculation that he himself was of two minds about it. Most historians, including Morris and Shilon, have chosen to believe that Ben-Gurion didn’t really want the offensive he proposed. But no one knows. Perhaps he did want to act, but (for once) miscalculated. In 1962, similarly, he would tell a journalist that in 1948 “I assumed, not with absolute certainty but with reasonable probability, that most of the Arabs of Jerusalem, Bethlehem, and Hebron would flee, just as the Arabs had fled from Lydda, Ramleh, Jaffa, Haifa, Tiberias, and Safed.” In Israel’s first cabinet, all of the ministers would have thought like Ben-Gurion: in a situation of renewed war, the Arabs would flee, because they usually did. But a window of opportunity opened in the mid-1950s. Jordan’s monarchy seemed shaky; perhaps it would fall. Ben-Gurion no longer expected the miracle of Arab flight to be repeated. But if Jordan weakened or collapsed, Israel would have to fill the vacuum and remain the only military force west of the river. His solution: West Bank autonomy under Israel. By the early 1960s, then, Ben-Gurion, the great architect of the status quo, preferred to be seen publicly as its critic, as someone who had warned of its inherent dangers only to be overruled by a majority of his lessers. Yes, he hadn’t taken the West Bank when he could have. But by the 1960s, this dereliction didn’t carry with it much blame, since he repeatedly claimed that Israel should have taken it. There is a significant addendum to the West Bank story. Had Ben-Gurion had his druthers in 1949, Israel would have annexed Gaza. The presence of a standing Egyptian force in Gaza, so close to Tel Aviv, constituted a strategic threat of the first order, and he was even willing to make Gaza and its refugees a part of Israel in order to push the state’s coastal border southward. In 1949, he informally told a member of the UN’s Palestine Conciliation Commission that “if [the Egyptians] give us Gaza, we will not refuse, and then of course we would accept it with all its inhabitants. We will not expel them.” Israel then formally proposed this to the UN commission, but Egypt refused to contemplate withdrawal. I assume that some of them will flee to Hebron. . . . We won’t go to the [Jordanian] Arab Legion and say: “Take them.” We won’t conduct negotiations. The borders are open. I know [the Arabs in Gaza]. They will flee to [Hebron]. Perhaps the Legion might shoot at them. . . . But I don’t imagine they will. . . . If there’s an outcry, there will be an outcry. Afterward, they’ll get used to it. What’s telling is that even in making this proposal, Ben-Gurion insisted that he had no expansionist designs, and that the state didn’t need territory per se. It needed Gaza for its defense. The cabinet rejected Ben-Gurion’s proposal nine to four. In the 1956 Sinai war, as prime minister again, he did take Gaza, but was forced to give it up the following year. Yet Gaza would remain, for Ben-Gurion, a place destined for inclusion in Israel—as we shall shortly see. Ben-Gurion insisted that all of the territories that had been captured [in the June Six-Day War] had to be given back, very quickly, for holding on to them would distort, and might ultimately destroy, the Jewish state. He made only one exception of consequence: the Israelis should not relinquish control of the whole of Jerusalem. Ben-Gurion’s most striking assertion that night was that he did not expect immediate peace with the Arabs; for its own inner health, he said, Israel needed only to give back the territories very soon in return for a workable set of armistice arrangements. The problem with this story is that Ben-Gurion never uttered the words Hertzberg attributed to him. The transcript of his speech, delivered to a visiting group of Conservative American rabbis on July 12, 1967, is preserved, and while it may not be complete, it bears not the faintest resemblance to Hertzberg’s account of it. There is no mention of the West Bank or its inhabitants, no mention of urgent withdrawal, no victor’s remorse. When Ben-Gurion wasn’t lauding Israel’s astounding victory, or reminiscing about his own past, he was haranguing the rabbis over Israel’s desperate need for Jewish immigration from America so that it could rapidly settle 100,000 Jews in unified Jerusalem. “Ben-Gurion Calls for Mass Immigration in Conservative Rabbinic Seminar,” ran the headline in the Israeli daily Davar two days later. If Ben-Gurion had said anything remotely resembling what Hertzberg claimed he said, that headline would have been radically different. and commits to our freedom of navigation, not just in the straits of Eilat but also in the Suez Canal, we will be ready to evacuate the Sinai desert immediately after the signing of the treaty. . . . If Syria agrees to sign a peace treaty, and commits itself to preventing attacks on Israeli settlements by Syria’s inhabitants and from within its territory, we will evacuate the Syrian [Golan] Heights now in our hands. Armistice agreements, as in 1949? Hardly: Ben-Gurion was willing to return territory only in return for full peace treaties. “I am not sure the other side is prepared for that,” he added. In fact, there was no difference between this position and the Israeli cabinet decision of June 19: Egypt and Syria would be offered full withdrawal for full peace. But for Ben-Gurion it didn’t take long for Syria’s Golan Heights to be removed from the table: after a visit there in August, he concluded that Israel should settle and annex them. We will propose to the inhabitants . . . to choose representatives with whom we will conduct negotiations on a West Bank autonomy (excluding Jerusalem and its surroundings), which will be tied to Israel in an economic alliance, and which will have its outlet to the sea via Haifa or Ashdod or Gaza. A Jewish army will be stationed on the western bank of the Jordan River to protect the independence of the autonomous West Bank. . . . All the Jews who [once] lived in Hebron and its surroundings will be allowed to return to their former homes, even after the West Bank is granted internal autonomy. He was even more specific in an address to an Israel Bonds delegation in August. In his view, the West Bank should be an “autonomous though not independent province.” This scheme for the Palestinians hardly constituted “dissent” à la Hertzberg. 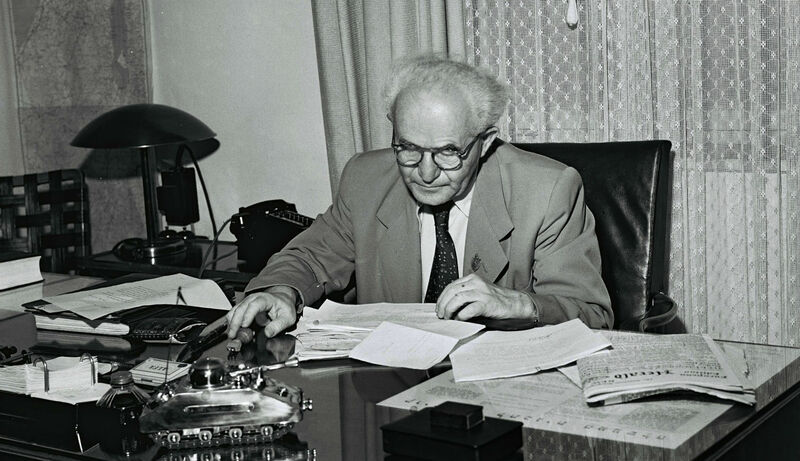 It basically tracked Ben-Gurion’s proposals of 1956 and 1958, and also the earliest form of the plan for the West Bank drawn up after the Six-Day War by then-Minister of Labor Yigal Allon. The Gaza Strip will remain in Israel, and efforts will be made to settle its refugees in the autonomous West Bank, or in other Arab territory, with the assent of the refugees and the assistance of Israel. Picking up here on his earlier ideas about Gaza, he still thought it crucial to extend Israel’s coast all the way down to the Egyptian border, even if that meant assuming responsibility for (the dispersal of?) Gaza’s 350,000 Arabs. In sum, in Ben-Gurion’s plan, no part of the Land of Israel west of the Jordan would be “given back” to anyone. Israel would patrol its entire eastern frontier, the West Bank would become a subordinate “province” of Israel, and the Gaza portion, evacuated of some of its Arabs, would be annexed outright. If there were a chance for “true peace” (and by true peace I mean stability and common action in economics, politics, and education), I would be for the return of territories (except for the Old City of Jerusalem, the Golan Heights, and Gaza). But unfortunately I don’t see any proximate chance for true peace, and thus no room to speak about return of territories. But this wasn’t his final stop. As time wore on, and the wait for “true peace” lengthened, Ben-Gurion envisioned still more revisions to the pre-1967 status quo. In 1972, he was asked whether he’d changed his views during the five years since the war. Ben-Gurion replied that in 1967 he’d been willing to return all of the Sinai, but Egypt had still refused to make peace. 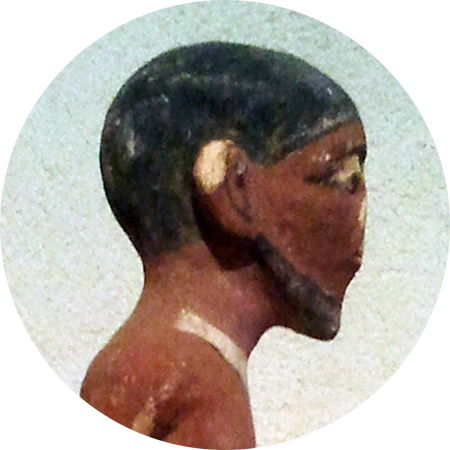 In the meantime, we are settled in the Sinai, and important things are being done there. There is a big difference between returning barren desert and returning settled areas. I would not order the dismantlement of the settlements in the Sinai and the return of territories to Egypt. Something changed in Sinai since the Six-Day War, and things continue to change. It’s one thing to return desert, another to return territory settled by Jews. When asked whether his revised view included the West Bank, and particularly Hebron, he added: “Provision should be made for a large and growing Jewish settlement in Hebron that should be able, in the fullness of time, to become a part of the state of Israel.” This repositioning didn’t pass without notice outside Israel: “Ben-Gurion Switches on Annexation,” announced a headline in the New York Post. 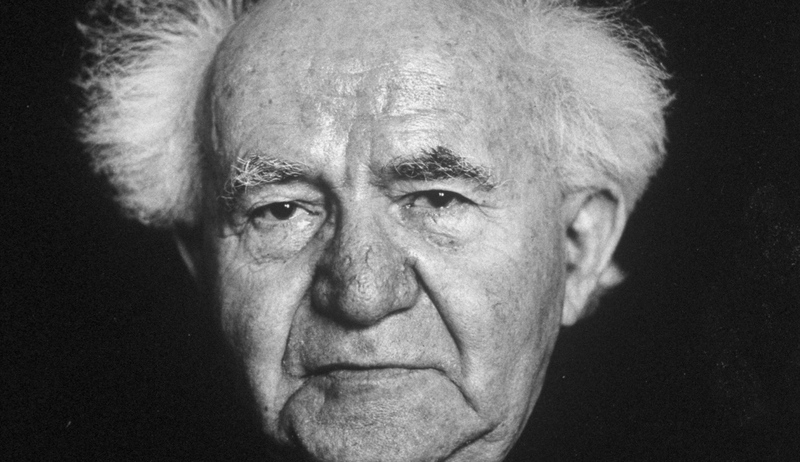 It was the last major statement by Ben-Gurion on borders; he died the following year. In my essay, I cited the promotional materials for the film Ben-Gurion: Epilogue, which asserted that Ben-Gurion’s “clear voice provides a surprising vision for today’s crucial decisions and the future of Israel.” The film distorts that voice through editorial selection. But once the voice is restored in full, it’s striking how closely Israel’s present-day situation conforms to Ben-Gurion’s preferences as he expressed them right after the Six-Day War. Full withdrawal from Sinai for full peace with Egypt? Fulfilled. Annexation of the Golan Heights? Done. 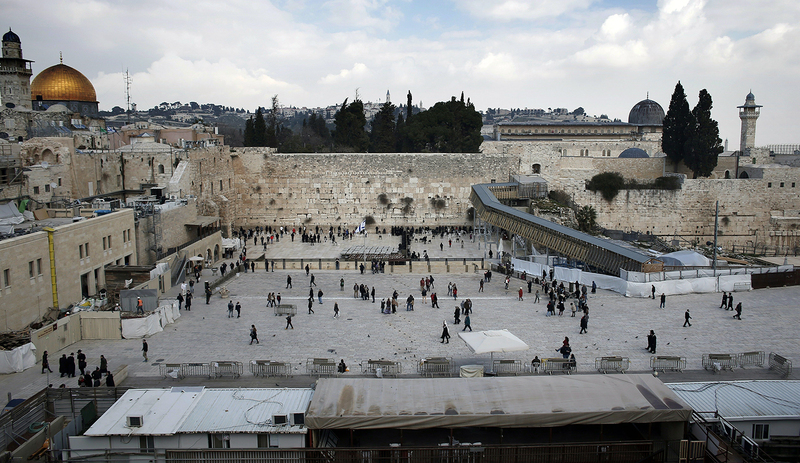 Jewish settlement across unified Jerusalem? Largely accomplished. A Palestinian autonomy, but not a state, on the West Bank? Reality. A grip on Gaza? Israel still has it. Ben-Gurion wasn’t a prophet, but his survival strategies for Israel had a profound influence on leaders who came after him, left and right. They usually didn’t stray far from the furrow he plowed, and when they did, new leaders quickly arose who corrected course. No one can say what Ben-Gurion would think of “today’s crucial decisions,” in the phrase of the film’s promoters. But it isn’t hard to argue that Israel’s present situation is a fairly straight-line outcome of the mix of positions he took in 1967. The “moral” people who reject the expansion of borders in any historical circumstances are unaware that they abet our enemies, who [still] dream of the territories that were already in our possession [in 1949] either in accord with the UN [partition plan] or not. So a principled refusal to expand simply invited enemies to dream of taking back what they had already lost. And those enemies would make peace only to prevent Israel’s further expansion. So why commit? And why discount the price of withdrawal? “It is important to stress,” emphasized the late Shimon Peres, “that Ben-Gurion’s condition for returning the territories was full peace.” There were supporters of unilateral withdrawal even in Ben-Gurion’s day. He wasn’t among them. I should be clear that in saying all of this, my aim has been the modest one of setting the historical record straight. There are those who would muster Ben-Gurion’s insights from 1937, or 1948, or 1967, or 1972 in support of some present position. Nothing could be more foreign to Ben-Gurion’s own approach, as outlined in the splendid quotation cited by Avi Shilon to the effect that all things change, and minds must rush to change with them. 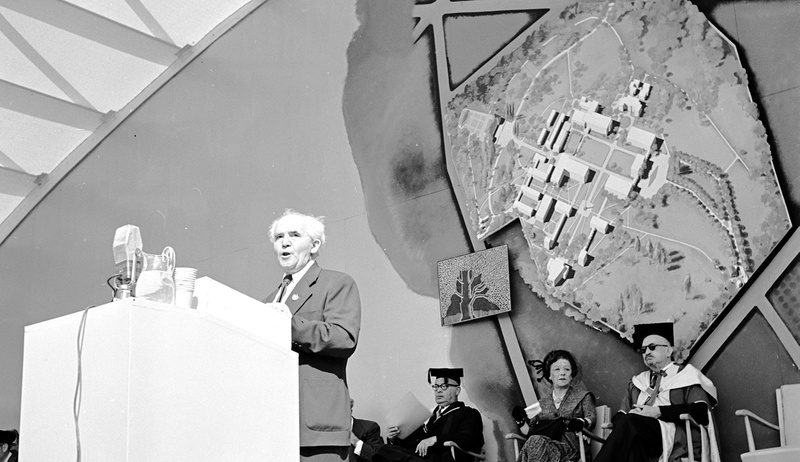 The state of Israel was fortunate to have David Ben-Gurion at the moment when his genius and its needs converged. But his corpus of writings, quotes, and misquotes is no substitute for leadership today.